It's been a busy week in our house. Josh has been SUPER busy prepping presentations and entries for young retailer awards, and will be spending the next 4 days in Auckland, whilst the kids are busy and I am working! We miss Josh while he's away, he doesn't go away often, so when he does, everyone misses their dad, and I miss my better half, even if it is only for 4 days. Over the weekend, my Mother-in-law (to be), has been unwell, and ended up in hospital overnight with a cough so bad shes ripped muscle/tendons (or something?) in her ribs just from coughing. She is an amazing woman, a surgical nurse at the hospital herself, mother to 8 kids and just generally lovely! Bakerella has been sucking me in with her amazing, fun, happy looking recipes for weeks now, and the other day seemed like a perfect time for some fresh cookies, filled with M&M's, crushed pecans and more chocolate. I don't often use pecans, but man these were good. 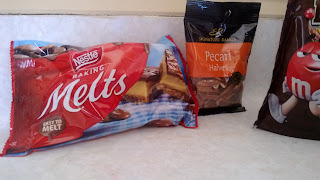 Pecans aren't that big a thing in New Zealand, and it cost me about $4.00 for the little bag from the supermarket, but that little bag had pretty much exactly the right amount in it for this recipe, so there ya go. And the crunch they gave to this recipe was perfect! That combined with M&M's and chocolate, what more could you possibly ask for!? I prefer the larger chocolate melts in these biscuits, just suits them to a tee!! You can see here I went with Signature Range Pecan Halves from Countdown, and this bag was just the right size! This is all ya get! The biscuit on top was slightly over cooked, but still amazing. 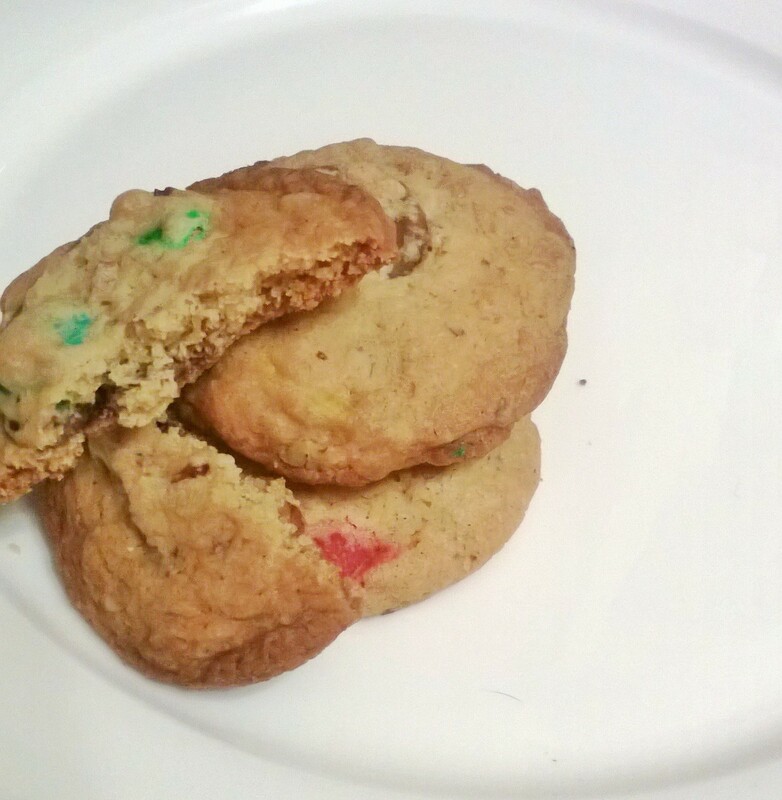 But as per my usual ideal, the undercooked cookies, were by far the best, the disappeared long before any others. Undercooked biscuits! Best. Thing. Ever! I adapted this recipe slightly from Bakerella. Sift together flour, baking soda and salt with a wire whisk and set aside. In a mixer, cream butter and sugars together for about two minutes until light and fluffy. 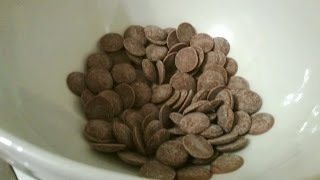 On low, add flour mixture and mix until combined. 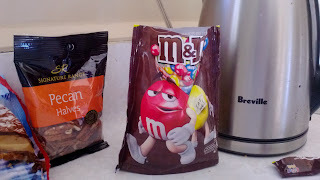 Stir in chopped pecans, M&M's and chocolate melts. Preheat oven to 350 F (175C). Scoop cookie dough onto parchment paper and place 4cm apart (2in). Bake for about 16 minutes or until lightly brown. If you make them a bit smaller, then bake for 12-14 minutes. Transfer cookies to a wire cooling rack and repeat with remaining cookie dough.